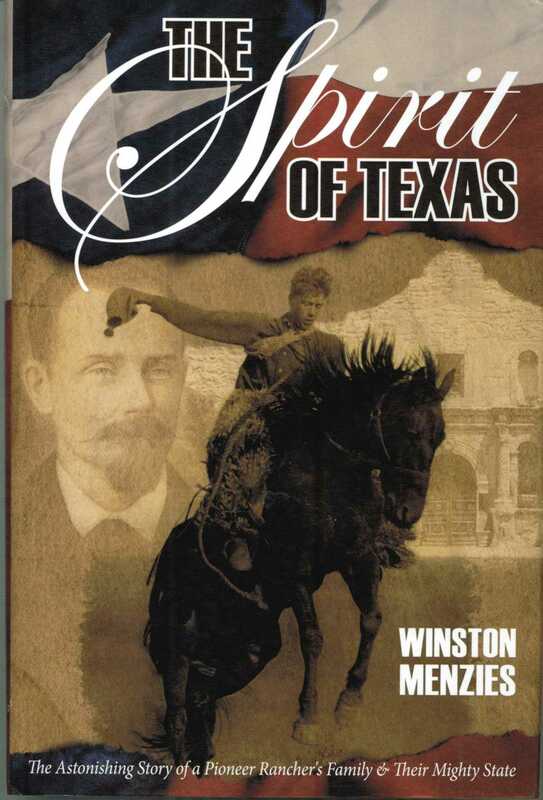 Oral Interview, Glenn Willeford With Dr. Gerald G. Raun Concerning Walter Prescott Webb's The Texas Rangers: A Century of Frontier Defense (1935). In June of 1876, a young carpenter arrived in Galveston with nothing more than a chest of tools and a desire to find work in the burgeoning seaport city. His name was William Menzies. He was 21 years old, fiercely independent and determined to make his way in the world. Galveston was clearly not where his future would lie, however, and a combination of storms, floods, a fire and a lack of work soon drove him inland. A decade later, having broken countless horses as a horse trader to earn his keep in the interim, the young man finally found himself on the banks of the San Saba River in Menard County, Texas. Here he decided to buy land to set roots and stay.